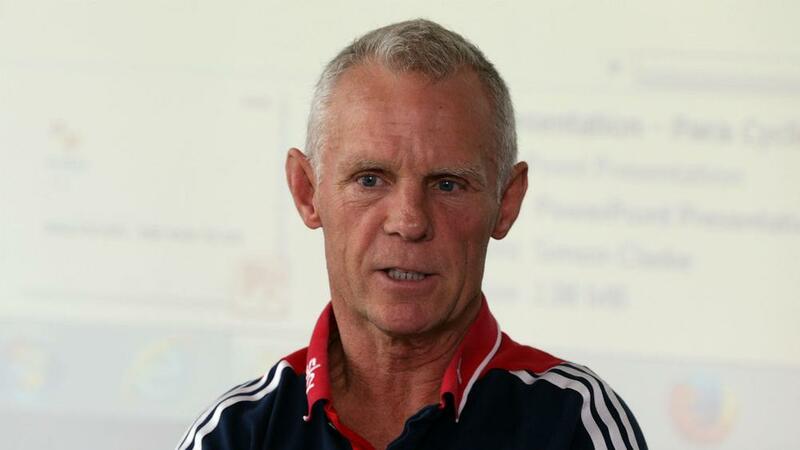 British Cycling technical director Shane Sutton has resigned from his position amid allegations of discriminatory behavior. If Shane Sutton's coaching has been based on bullying since he started work at BC in 2002, why are we only hearing riders complaints now? The 58-year-old has also been implicated in further allegations of derogatory remarks made about Paralympic athletes. "Today starts the 100-day countdown to the Olympic and Paralympic Games. It is absolutely crucial that, as our athletes begin their final preparations for Rio, they are able to do so free of distraction," said Sutton in a statement. "The developments over the past few days have clearly become a distraction. It is for this reason, and having spoken to friends and family, that I believe it is in the best interests of British Cycling for me to step down from my position as technical director. "It is important that the review announced by British Cycling and UK Sport now takes place, and I will obviously cooperate fully with this. "I have made clear that I reject the specific claims that have been made against me in recent days, and I look forward to taking a full part in the review process so I can respond to the allegations in detail." British Cycling chief executive Ian Drake added: "I understand and respect Shane's decision to stand down. Andy Harrison, programmes director at British Cycling, will be taking over with immediate effect and will manage the team in the build-up to Rio 2016."